Mistakes which Startups are Doing and How they can Avoid it to be Successful! To come with a unique idea for a start up is not easy. With great vision comes great challenges. As an entrepreneur, you first have to have a business idea then you need to convert the idea into the product and this is how the process gets started and adds on to more tasks as you move ahead to different stages in the business. Executing the idea is a tough job and requires great efforts from your end. 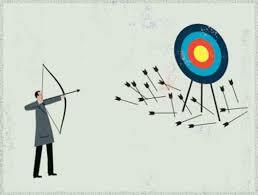 There will be certain barriers which will affect your business but how you come out defeating those is game all about. When you enter into a start up, so many questions keeps on moving in your head. What would be the product? How will you finance your start up? Will it be a success? Will you be able to match with the competition? What will be the future of your your start up? and a lot more of these. The thing is that all the entrepreneurs go through phases of success & failure at different stages and they learn with their experience and improve upon the areas where it is needed. Feedback is crucial for any business as it paves way for improvements. The business that overlooks this aspect tends to fall soon in its journey. You just cannot take them lightly. Each & every feedback holds importance. Therefore, it is recommended for the start ups to have a proper well-made system of recording feedbacks from all the sources be it employees, potential customers, loyal customers etc. The startups that grow at great speed never avoid feedbacks. They understand its importance for a business and consider them when taking decisions. To make things easier & keeping a track of feedbacks hassle free, there exist tools like client heartbeat, get feedback and many more which can be employed. Even CRM is employed by the businesses to record & monitor feedback of customers. It is good to hire Net Generation but it is even better if you strike a balance of older & experienced people along with Generation Y which is tech savvy, social media experts and aware of latest tools & techniques. The successful start ups does not look at the age of people rather they look at the industry experience & proficiency. Unprepared & unorganized hiring always affects negatively. It must be thought & planned well in advance before hiring the staff as to how to strike a balance in workforce. The older employees might not be tech savvy or expert on latest tools but the have industry experience & expertise which counts more than anything. Often it is seen that startups keeps on discarding strategies without giving them enough time to get you favourable results. There are various reasons due to which initially strategy might not be recording positive outcomes but that should not mean that it is not right. Before discarding off any strategy give it its due time and then if you see it is not doing any good for your business, try to identify the reasons resulting into the inefficiency of the strategy. When the strategy starts getting you unfavourable returns then you must know it is the time to get rid of it. Initial stages of startup wants a lot in monetary form from you. Operating & financial expenses are high when you are starting. Due to less resources and low budget startups agree to settle with clients that are cheap and substandard, the ones who even don’t pay what a business expects. This decision leads to the startups failure. Though it is indeed hard to catch big clients when you are just a startup but client selection must be done with proper attention after considering its past record or so. Improper management have drowned many businesses before they could even take off. Managing business and clients are two different things and this logic is not understood by those who are new into entrepreneurship. The employees are burdened with multiple roles & responsibilities due to he/she fails to perform upto the capabilities which in turn affects the business. Due to low budget, if the business is unable to afford hiring more employees then it just make sure that responsibilities and roles are assigned in a way that the existing employees can perform their best without any stress or burden of work overload.